Bruce Rees was very helpful in getting us our vehicle. We were an out of state purchase and scrambling to replace our wrecked vehicle. He provided us all the info we needed and was very flexible in making arrangements to get the vehicle to us. The vehicle was well-represented and the transaction went smoothly. I highly recommend Rees Auto brokers. 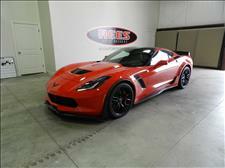 Bruce did an outstanding job in selling me a Corvette Z06. He represented the car perfectly and made the transaction seamless. Bruce always answered my questions and responded to my text messages in a prompt manner. I plan on doing future business with him. I would like to say thanks for the awesome experience we had purchasing not one, but two vehicles from you guy's. I had Bruce Rees looking for a Ford Explorer to replace my 2002 Explorer, while I was speaking with Bruce one evening my wife was commuting from Ogden to our home in Murray and it was snowing very hard and while she loved her Prius it wasn't the best car in the snow,and Kris was quite nervous driving home. I told Bruce what was going on, and we traded the Prius for a very nice 2013 BMW x5 they had in their show room and we love it. and then a week later he found the perfect Explorer for me. The attention that Bruce showed us was second to none. thanks for everything, we will recommend you highly. I recently purchased a Mini Cooper from Bruce and Mone at Rees Auto Brokers. It was a fantastic experience by two extremely professional gentelmen. I first viewed the vehicle on a local website that list vehicles in the area for purchase. I contacted Mone to discuss the vehicle and the Bruce called me to discuss the final terms of the sale. I live in salt lake city and had to fly to St. George to purchase the vehicle. Bruce picked me up personally and discussed his family and his history in Utah. It was a very personal and friendly conversation that endeared me to him immediately. I will be looking for another vehicle in a couple years and my first call will be to Bruce or Mone. I sincerely hope they are in business for a very long time because I won't go anywhere else as long as they are in business. I just want to let anyone interested in buying from Rees Auto Brokers my story, I did all the wrong things. I bought a car sight unseen and from the internet, everyone thought I was crazy!!! I had spoke to Bruce a number of times and he was a gem to deal with and made my transaction seamless. Everything he told me about the car was spot on and I have never been happier with a dealer or a vehicle. It's nice to know that in this day and age there are still honest people in the used car business. I would highly recommend Rees Auto Brokers. Dealing with Bruce Rees was a great experience. Great cars at reasonable price with no sales pressure applied. He was personable and his offer was reasonable. A very positive experience. I worked with Mone and it was done all online. I'm from Arizona and all the trucks out here were selling for 35 to 40,000.00 for the truck I bought from Mone. He told me all the things that were wrong which was really minor and sent me all the test that were ran on the diesel engine and the injectors. He would follow up with me about everything and did not hide anything from me. This truck is a beauty. I cannot believe the quality that this truck was. It exceeded my expectation. They also got me approved which amazed me. I had no way of making the four hour trip to Utah so we worked out getting it shipped to me. Thank you so much Mone and I owe ya cold one if you ever decide to come out to Arizona.  I purchased a car from Mone and he was very professional and also had all the information for us on the vehicle. He helped us in understanding what the car might need in the future and the transition was smooth. I was very impressed with Mone. 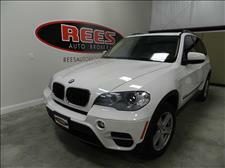 I would highly recommend doing business with Rees Auto Brokers.